Light + Love : Happy Birthday, Mom. Mom & me. 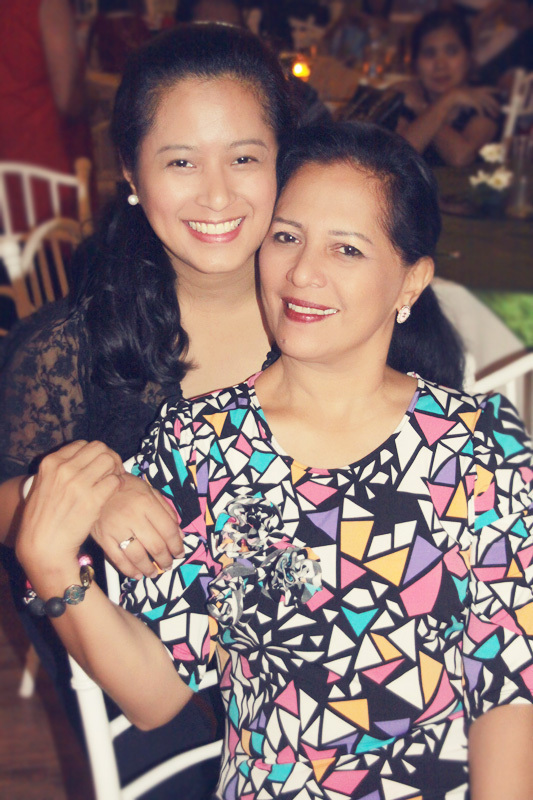 Photo by D. Taken last Christmas during Mom's office's Christmas Party. Beverly Hills. You are as pretty as your Mom. Happy birthday to her. And thank you for giving an Ai to this world. This entry made me laugh [at myself] and reminded me of how I forgot my mom's birthday. While early kaayo imong tribute sa imong mom, ako naulahi, hehehe. Your mom is so beautiful, Ai! No wonder you and your sisters are beautiful. Happy Birthday to Ma'am Dulce! The reason why I posted this early was because I know I won't have time on the day of her birthday (I had a shoot!). LOL! Gwapaha jud ni Mommy D ui!